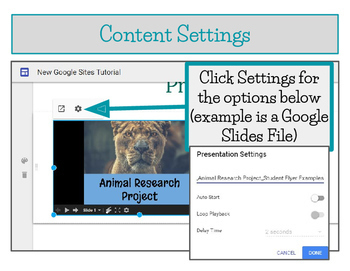 NEW Google Sites Tutorial, Student E-portfolios, Student Websites - Editable! Google Apps Tutorials and Task Sheets BUNDLE - FREE LIFETIME UPDATES!! Computer Technology Course Bundle - Google Classroom - FREE LIFETIME UPDATES! Personal Finance Course Bundle - Integrates with Google Drive! 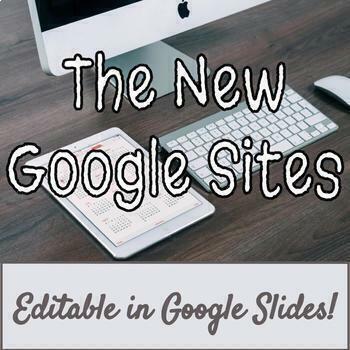 This is an extremely thorough NEW Google Sites annotated tutorial that is 35 pages long. 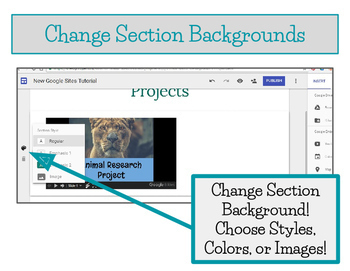 This has been so helpful for my students in order to create their e-portfolios. It is also very beneficial for teacher training sessions. As my students work their way through this tutorial, I actually have them create their own sample website. This is a neat way to make the tutorial interactive! I use this to prep my students for creating their E-Portfolio. This version of Google Sites was released in 2016. Please note that this is NOT the CLASSIC Google Sites. 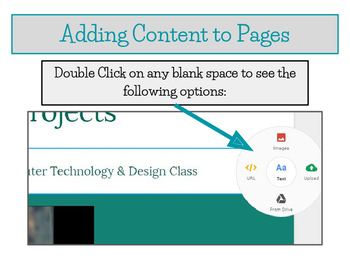 ➙ A link to make your own editable copy in Google Slides is included on the last page of the download! Click here to view my website & sign up for FREEBIES via email!